It's almost time for me to head out to Papua New Guinea. I'm submerged in my normal pre-trip chaos (which, come to think of it, is inevitably followed by trip-long chaos, and then post-trip chaos), trying to sort through which bits and pieces to take along, and which other bits and pieces to leave behind. The fact that I have so much junk equipment and so many crazy notions photo ideas doesn't help much. Despite my discombobulated state of being, I did manage to catch my friend Jon Cornforth for another photography chat yesterday, along with another photographer friend, Steven Kazlowski. 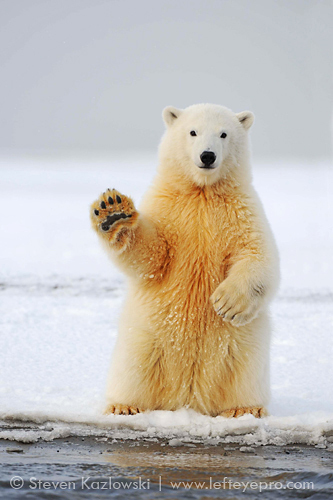 I mean...how can you not fall in love with that furry face and floppy paw raised in ursine salutation? - The outlook for the professional nature photography market. I've posted the audio file to my iTunes podcast as well, and here's a direct link (80MB, m4a file) if you prefer to download a copy of our mellifluous voices for later listening pleasure. 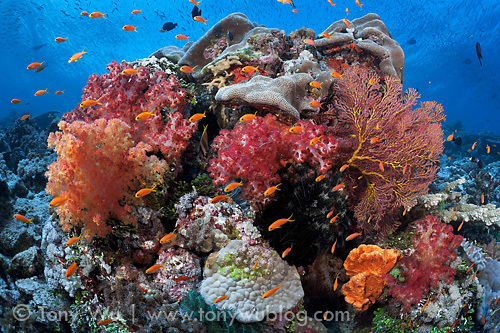 I prefer warm blue water with lush, colourful coral and pretty fish! 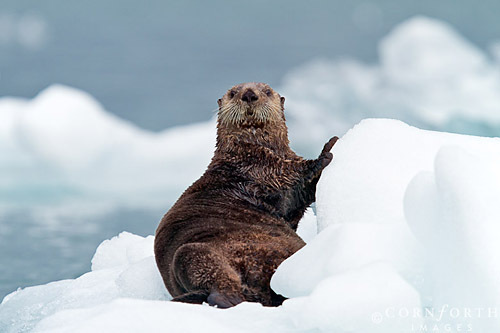 - Steve: Svalbard polar bears, glaciers, etc. 1 spot left for 3-24 July. - Jon and Steve: Polar bear trips, 23-26 Sep; 26-29 Sep; 30 Sep - Oct 3. - Tony: Minke whales: 28 Jun - 7 Jul 2012. Trip full. - Jon and Tony: Humpback whales in Alaska + Tonga: 23 Jul - 1 Aug 2012 + 21-28 Aug 2012.